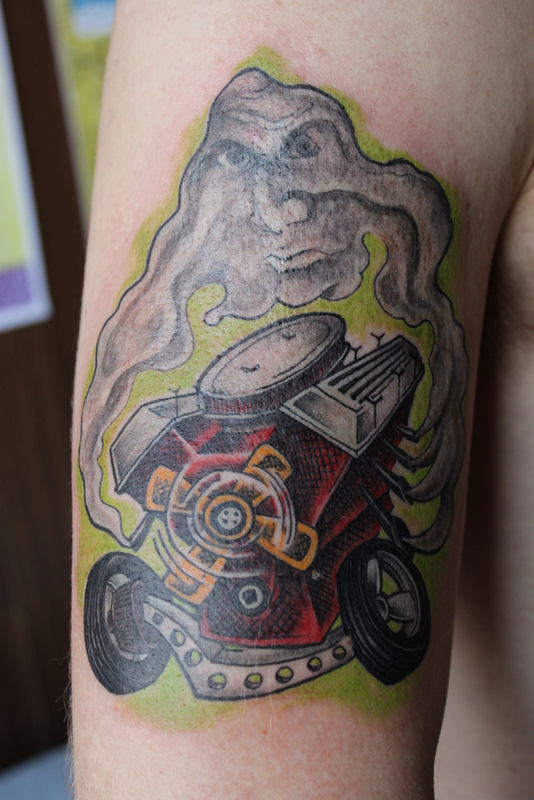 guy wanted a V8 engine, with the carb and exhaust ‘n all, in a cartoonish way. So, I drew up the engine and to give a bit of a traditional hot rod scent to it then added open headers instead of regular exhaust pipes & also you can see the drum brakes. In real life tho, the Torq Thrust wheels would be a big no-no for a traditional rod but with this case I decided to make an exception. Oh, and there’s a dude up there as well. Smokedude. His Dudeness. 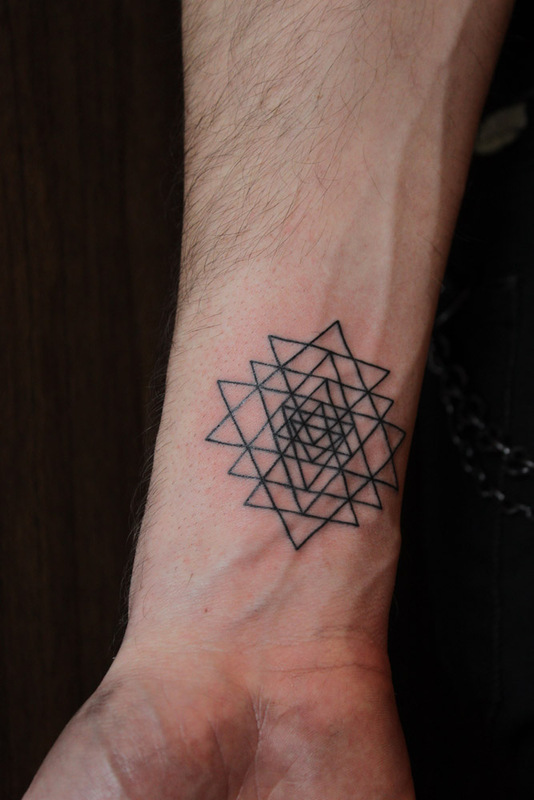 And then I got do this cool geometric thing.